I just realized that Indonesia has a lot of interesting landmark statue which actually can attract tourists from all over the world to come. Statue is not just a statue when it has become a landmark. Remember the Christ The Redeemer statue in Rio de Janeiro which has become one of the 7 Wonders of The World. People will fly thousands of miles just to see the statue. 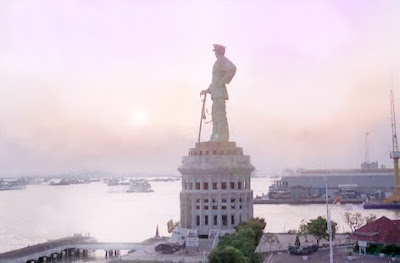 Remember also the Liberty statue of New York City or Marina Bay, Singapore with its Merlion. 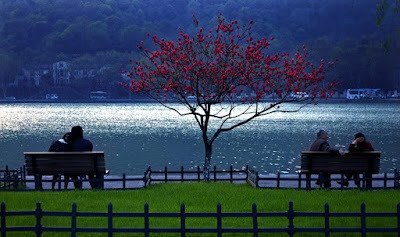 They have attracted people to come and enjoy the wonder of those statues. 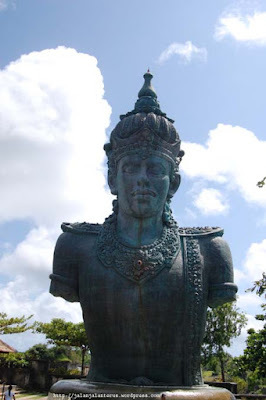 Indonesia is currently building what will become the biggest statue in the world, Garuda Wisnu Kencana in Bali. It will have the height of 75 meters with the width of 60 meters. It will be able to be seen from the radius of 20 Kilometers. The production has reached 60% and when it is finished it will be a major landmark of Bali. 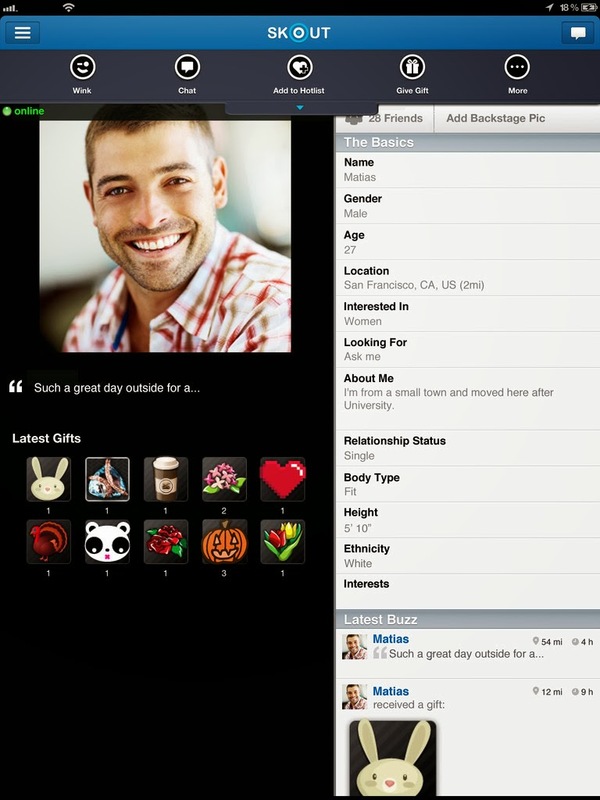 Get more information from this website. Indonesia currently also has the biggest Jesus statue in Asia. Built in Manado, North Sulawesi, the statue is called as Tuhan Yesus Memberkati with outstretched arms to bless the city. It has the height of 30 meters and is located at 160 meters above the sea level. It was erected at the end of 2007. Indonesia is also currently building what will be the biggest granite Sidartha Buddha Gautama statue in Indonesia at Deli Serdang, North Sumatra. 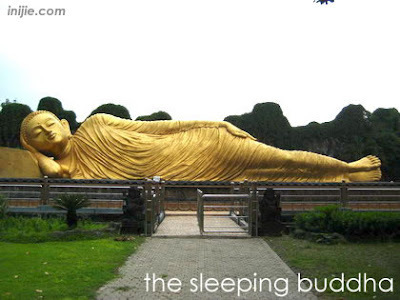 It will reached the height of 40 meters surrounded by 146 small Buddha statues. 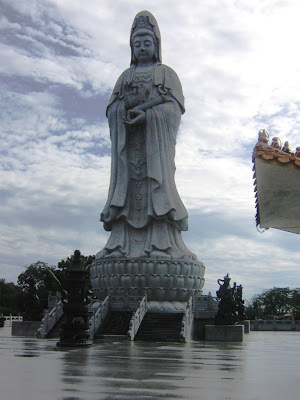 So far, the province of North Sumatera already has the biggest statue of Guan Yin or Dewi Kwan Im in Indonesia located at Pematang Siantar. It has the height of 22,5 meters. Don't forget the glory of ancient civilization. 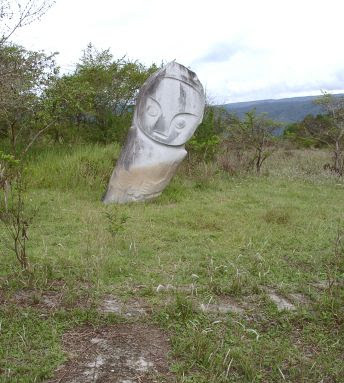 Indonesia also has the Palindo megalith stone located at Bada Valley, Central Sulawesi. Tambahan pengetahuan. Ada beberapa yg belum aku tahu sebelumnya. semoga GWK cepet2 diselesaikan pembangunanya..!! kan mubazir,harusnya sudah menjadi yg ter..ter..,ehhh ko malah mandeg..! !